With an acceptance rate of just 24 percent, the University of North Carolina at Chapel Hill is one of the most selective public universities in the country. UNC Chapel Hill is one of the so-called "Public Ivy" schools and it offers students some great opportunities, both in and out of the classroom. Due to the university's many strengths, it consistently makes an appearance on lists of the best colleges in the United States. Among these are the top public universities, top North Carolina colleges, top Southeastern colleges, and top business schools. 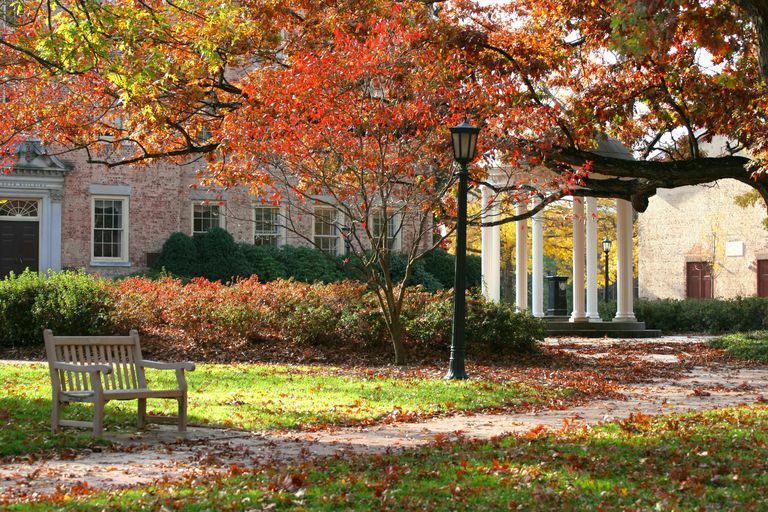 Campus Features: UNC Chapel Hill occupies an attractive 729-acre campus in North Carolina's Research Triangle, a research and business hub that also includes Duke University and North Carolina State University. Athletics: The University of North Carolina Tar Heels compete in the NCAA Division I Atlantic Coast Conference (ACC). Highlights: UNC Chapel Hill frequently ranks near the top of all public universities in the nation. The school wins high marks for both its value and the quality of its academic programs. Undergraduates can choose from 77 majors. For the class that entered UNC Chapel Hill in the 2017-18 academic year, the acceptance rate was 24 percent (one of the lowest among all public universities). SAT scores and ACT scores are presented in the tables below organized by score percentile. If you compare SAT scores for all public universities in North Carolina, you'll see that UNC Chapel Hill is the most selective institution in the state. If private colleges and universities are added to the comparison, only Duke University is more selective. The ACT is more popular than the SAT in North Carolina, and about two-thirds of applicants submit scores from the exam. If you compare ACT scores for the nation's top public universities, you'll see that UNC Chapel Hill is right in the middle of the mix. UNC Chapel Hill GPA, SAT Scores and ACT Scores for Admission. Data courtesy of Cappex. The GPA, SAT score, and ACT score data in the graph is reported by the actual applicants to UNC Chapel Hill. You can see the real-time graph and calculate your own chances of getting into UNC Chapel Hill with a free account at Cappex. Accepted students at UNC Chapel Hill tend to have grades in the "A" range and standardized test scores that are well above average. In the graph, green and blue represent accepted students. As you can see, the majority of accepted students had a GPA of 3.5 or higher, a SAT score (ERW+M) above 1200, and an ACT composite score of 25 or higher. Chances of admission improve as those numbers go up. Realize, however, that hidden beneath the blue and green on the graph is a lot of red, noting rejected applications. A number of students with 4.0 GPAs and high test scores still get rejected from Chapel Hill. The next graph makes this point very clear. It's also important to note that a number of students were accepted with test scores and grades a bit below the norm. UNC Chapel Hill has holistic admissions, so the admissions officers are evaluating students based on more than numerical data. Students who show some kind of remarkable talent or have a compelling story to tell will often get a close look, even if their grades and test scores aren't quite ideal. A winning essay, strong letters of recommendation, and interesting extracurricular activities can mean the difference between an acceptance and a rejection. Rejection and Waitlist Data for UNC Chapel Hill. Data courtesy of Cappex. If you remove the blue and green dots representing accepted students, you get a much clearer picture of the range of applicants who are both waitlisted and rejected from the University of North Carolina at Chapel Hill. As you can see, high grades and strong standardized test scores are no guarantees of admission. A straight "A" student who doesn't reveal strength or passions in non-academic areas is likely to be rejected. The university is looking for applicants who will both succeed in the classroom and contribute to the campus community in meaningful ways. The high selectivity of the school is one reason why UNC Chapel Hill should be considered a reach school, even if your grades and test scores are on target for admission. 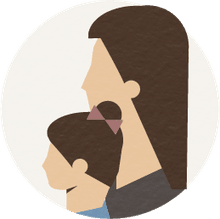 As you consider whether or not UNC Chapel Hill is a good match for you, be sure to take a variety of factors into consideration. The school has an excellent graduation rate for a public institution, and the value is hard to beat for in-state applicants. Applicants to UNC Chapel Hill are typically looking for a large and selective comprehensive university. When it comes to public institutions, UNC Chapel Hill applicants often consider other flagship campuses on the East Coast such as the University of Virginia, University of Georgia, and University of South Carolina. Students who are qualified for admission to UNC Chapel Hill often look at top private institutions as well. Some popular choices include Wake Forest University, Vanderbilt University, and Emory University. Keep in mind that all of these schools are highly selective. As you create your college wish list, you'll want to make sure you apply to a couple of schools with a lower admissions bar. What GPA and Test Scores Do You Need for UNC Asheville?